The Scioto County Democratic Central Committee made it official last week: Michael Jones is the party’s nominee for judge in the Scioto County Court of Common Pleas. Jones, who has served six years as magistrate for the Scioto County Domestic Relations Court and the previous six years as City Solicitor for the city of Portsmouth, is seeking to fill the unexpired term of Judge William T. Marshall, who announced his retirement March 16. Since the vacancy occurred after the filing deadline for the primary election, the central committee was tasked with nominating a candidate to run in the general election for the judicial office. As magistrate, Jones has presided over hundreds of cases. He says he looks forward to the opportunity to bring his years of experience as a judicial officer and prosecutor to the Scioto County Common Pleas Court, General Division. 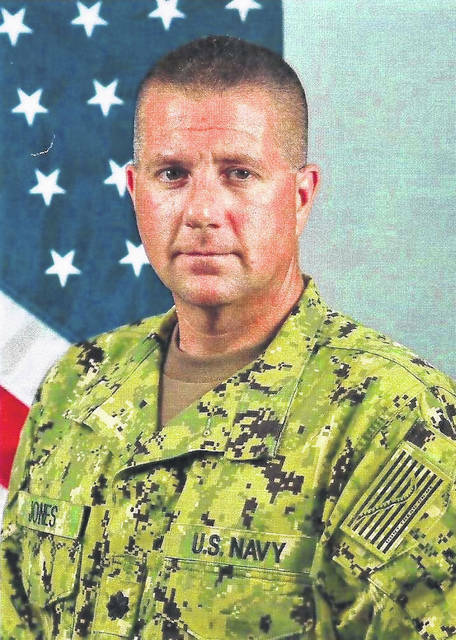 In addition to his service to the city and the county, Jones is a Commander in the U.S. Navy, where he has served 23 years, including nearly six years on active duty. He was on active duty stationed at Naval Air Station Jacksonville, Fla., from 1994 to 1998, and prosecuted more than 200 courts-martial cases, including murder, sexual assault and drug-related offenses. Jones is currently a Military Judge for the U.S. Naval Reserve, and one of only seven reserve Military Trial Judges in the Navy. In the past year, he was deployed to Joint Task Force Guantanamo Bay Cuba where he served as the Deputy Staff Judge Advocate in support of Operation Enduring Freedom. He was on active duty as the Deputy Staff Judge Advocate for JTF-GTMO from October 2016 to June 2017, and was awarded the Defense Meritorious Service Medal. “I am honored and humbled to have played a role in the prosecution of the terrorists responsible for the 9/11 attacks, in the hopes of bringing justice to the nearly 3,000 victims and their families,” he said. “I will bring a positive change and new outlook to our local court system,” Jones said. The general election will be Nov. 6.